I’ve found this treehouse on the net and I remember of him, but I guess this guy used this technique just to save its bike from the thieves! A big platform with a triangular form and upstair with the same form but smaller the treehouse. 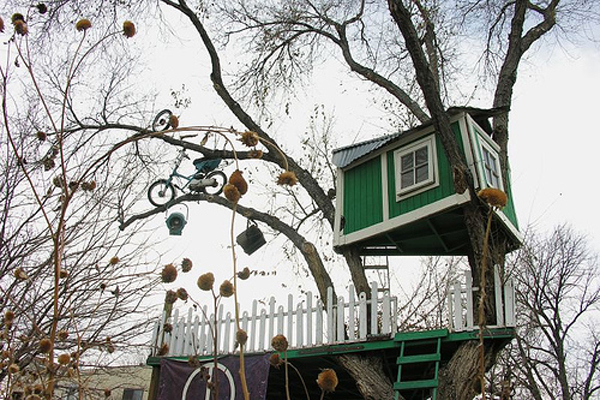 It’s incredible how perfectly this treehouse fits between the branches. A particular attention is also for the use of the colors: green like the leaves (even if in this photo, I guess it’s winter) and white to define and underline some details.